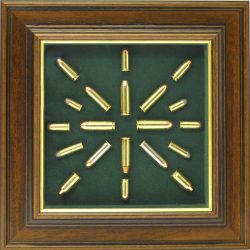 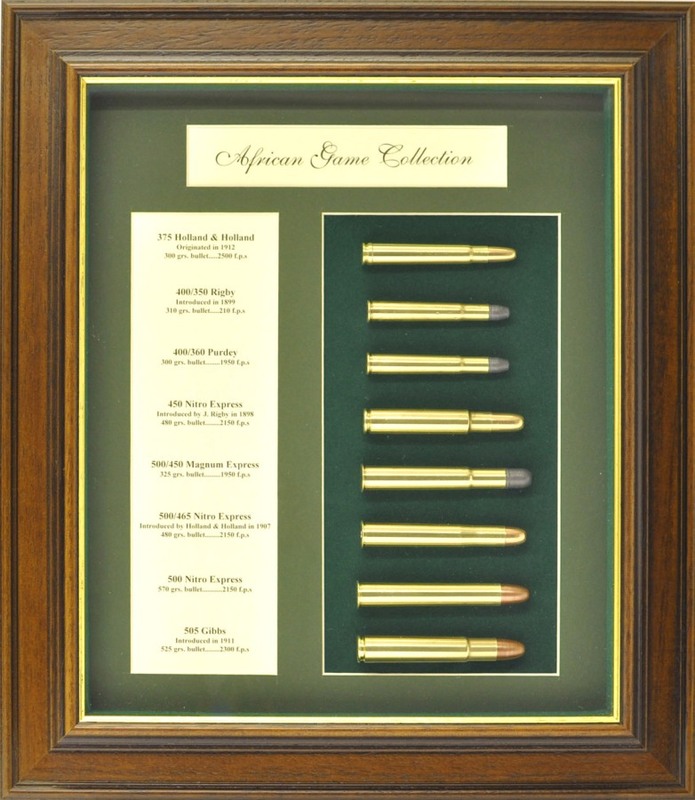 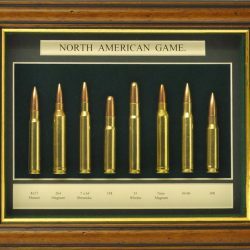 African Game collection containing 375 H&H, 400/350 Rigby, 400/360 Purdey, 450 NE, 500/450 ME, 500/465 NE, 500 NE & 505 Gibbs. 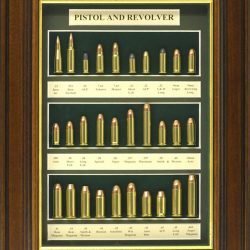 Housed in a 50mm antique style frame with bottle green mount and green baize background. 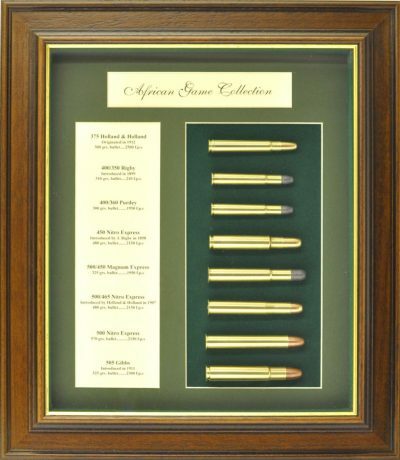 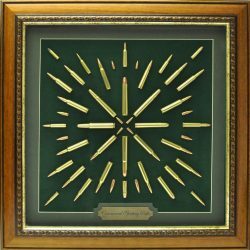 Please note:- Frame style and rounds may vary from those listed.